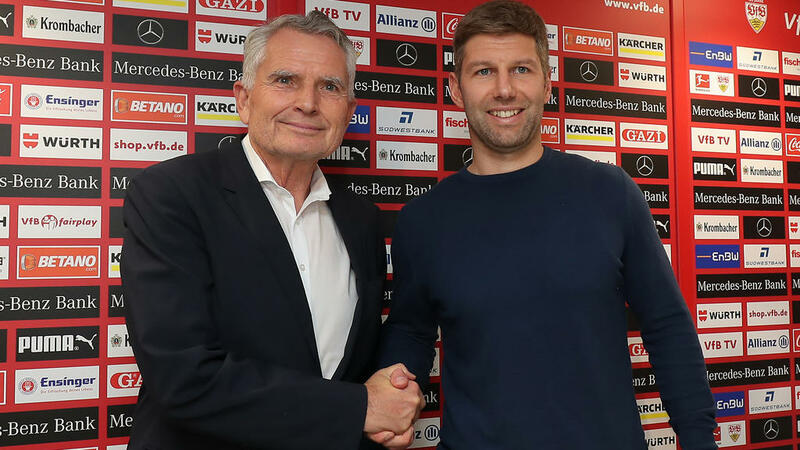 Former Germany and Aston Villa midfielder Thomas Hitzlsperger was named the new sporting director of Bundesliga strugglers VfB Stuttgart on Tuesday. The 36-year-old, the first Germany international to come out as gay following his retirement in 2013, takes over after predecessor Michael Reschke was sacked as Sunday's 3-0 defeat at Fortuna Duesseldorf left them winless in their last six games. Hitzlsperger made the last of his 52 appearances for Germany in 2010, and nearly 100 appearances for Aston Villa from 2001-2005, also played for West Ham, Lazio and Wolfsburg during his career. He was part of the Stuttgart side which last won the Bundesliga title, back in 2007. Hitzlsperger, who has worked as a pundit for state broadcaster ARD, says his priority is keeping Stuttgart up with the team in the play off relegation spot in 16th and three points from safety. "I will do my upmost to concentrate our strengths so that we stay up and at the same time set a course for a successful future," said Hitzlsperger, who will be working closely with head coach Markus Weinzierl. Hitzlsperger has his work cut out as Stuttgart, who have conceded 47 league goals, have the weakest defence in the Bundesliga this campaign and key players Mario Gomez, Christian Gentner and Holger Badstuber are out of form. "With Thomas we are gaining a specialist who is not only very competent and still close to active football, but also has the necessary leadership qualities," said Stuttgart's president Wolfgang Dietrich.